The Georgia Board of Regents (GBoR) initiated a project to implement advanced metering systems for five colleges and universities in their system: Kennesaw State University, Georgia College & State University, Clayton State College, Gordon College, and East Georgia College. Eaton was hired as the prime contractor and Activelogix was subcontracted to provide the Periscope DashboardTM solution. The existing metering systems within these universities were dated and did not offer intuitive ways to track and analyze energy consumption and demand. Tools were needed for University energy managers to help manage energy use, verify utility billing data and optimize energy expenditures within current utility tariff structures. A key objective for the Board of Regents was to procure software with the ability to establish energy baselines that help evaluate the effectiveness of future campus energy projects. A web-based EEMS (Enterprise Energy Management System) to collect and report on metering data from these school systems was conceived. This system would be used by many stakeholders both at the school and at the Board of Regents to better understand energy consumption and drive improvement. • Sub-meter the majority of utilities in most buildings across the participating campuses. • Provide key stakeholders with access to meter data. • Develop data reporting on a meter, building, campus, and enterprise basis. • Integrate Meters via the Building Automation Systems into cloud-based analysis tool. • Non-technical, user configurable access and analysis. A comprehensive project was undertaken by GBoR to implement an Enterprise Energy Management solution for the selected campuses. The Periscope Dashboard solution was selected to integrate, manage and display data intelligence to each group of stakeholders. Periscope empowered users with ability to analyze historical data by meter, building and campus. Users could also import additional data to correlate with energy usage. Each user was provided with an appropriate energy dashboard and given access to a library of powerful Periscope “Viewlets” and could be added to existing dashboards. The typical campus dashboards provided common visualization for users to find opportunities for efficiency, to determine the effectiveness of energy projects or to engage the overall community in improving energy performance. As a result of this project, 160 meters were installed in 100 buildings across 5 campuses and Periscope access was provided for all relevant users. This provided participating schools greater visibility into their energy consumption, identified significant operational improvements and served as a proof point of the Georgia Board of Regents commitment to sustainability. The EEMS system that we installed across our system has given us greatly improved visibility into our energy consumption, this has allowed us to improve our operations, drive efficiencies and get our building occupants excited about sustainability. We look forward to continued success with the program in 2015 and beyond. 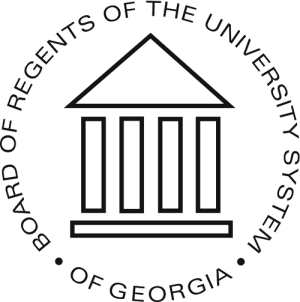 The Board of Regents of the University System of Georgia was created in 1931 as a part of a reorganization of Georgia’s state government. With this act, public higher education in Georgia was unified for the first time under a single governing and management authority. The governor appoints members of the Board to a seven year term and regents may be reappointed to subsequent terms by a sitting governor. Regents donate their time and expertise to serve the state. Today the Board of Regents is composed of 19 members, five of whom are appointed from the state-at-large, and one from each of the state’s 14 congressional districts. The Board elects a chancellor who serves as its chief executive officer and the chief administrative officer of the University System. The Board oversees the 30 colleges and universities that comprise the University System of Georgia and has oversight of the Georgia Archives and the Georgia Public Library System. Eaton is a power management company with 2014 sales of $22.6 billion. Eaton provides energy-efficient solutions that help their customers effectively manage electrical, hydraulic and mechanical power more efficiently, safely and sustainably. Eaton has approximately 102,000 employees and sells products to customers in more than 175 countries. See www.eaton.com.